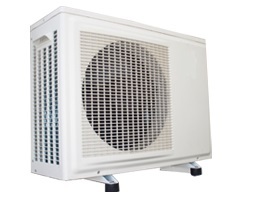 The heat pump looks similar to an air conditioner and can be installed either on the ground or with brackets on a wall. A heat pump works like an air conditioning unit in reverse. It extracts heat from the ambient air surrounding it, enabling it to heat the refrigerant which is then compressed causing it to get even hotter. This is then run through a heat exchanger in which the water is heated. The refrigerant is then allowed to expand again, thus cooling it down and enabling it to again absorb heat from the surrounding air. Heat pump vs Solar water heater for hot water? (Source: Eskom) Both solar and Heat Pump technologies have vast energy efficiency and environmental benefits and are seen by Eskom as complementary technologies on saving energy. Your choice will depend on the capital you have available for the initial purchase, the projected savings and thus payback period you require, and your motivation for updating your method of heating water. Consulting with reputable suppliers of both Heat Pumps and solar systems will help you to weigh up the alternatives and make the right choice. You are welcome to contact us at Solar Juice for a free consultation. We install both heat pumps and solar water heaters.